As heart conditions tend to be serious and are good at catching all the attention of a person. Among many vital functions, our heart keeps the blood flowing in the body, running across 60,000 miles of blood vessels that feed the tissues and organs. So any damage can hamper its pumping process forcing the fist-sized heart to work harder to keep up with the body’s blood demand. Our heart beats 100,000 times a day, and it is only fair that it needs constant pampering and attention for us to get through each day smoothly. Many heart conditions can be treated with medication and disciplined life but in some cases, Cardiac Surgery is the best, or even the last option for revival of functionality. deep vein thrombosis/pulmonary embolism – blood clots in the leg veins, which can move to the heart/lungs. rheumatic heart disease – is damage to the heart muscle and heart valves due to rheumatic fever. A woman’s heart is smaller than a man’s, and so are the chances of her suffering a heart attack. Often considered as problem of the old and men, heart diseases are often found to have occurred during birth, called congenital heart diseases, and can affect anyone. The real deal lies in finding the right treatment with maximum success rates. The thought of your chest cavity being opened for treatment is every bit scary and jittery. This anxiety can alleviate with choosing a cardiologist who holds years of clinical experience and has treated different cardiac ailments. Heart Surgery in India possess extensive qualification with MS in General Surgery/ MCH in Cardiac Surgery/ DNB/FRCS/MRCS from international colleges and hospitals. A good number of Cardiologists in India have international fellowship and training programs, have publications and paper presentations in their names in reputed medical journals. With 100,000 to 120,000 different procedures performed each year, Cardiac Surgery In India is a comprehensive process combining approaches to reduce risks with strategies targeting individuals at high risk or with established disease. 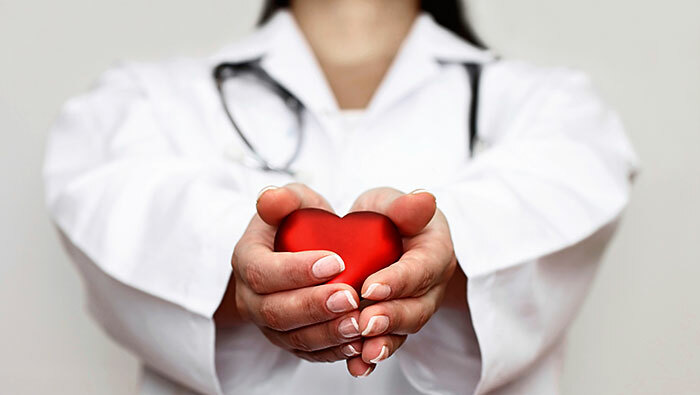 With increasing number of cardiac disease patients in India, experience of the Cardiac Surgeons has also increased tremendously in the country, eventually leading to higher success rates of the Heart Surgery procedures. India abodes some of the most advanced technological environment for cardiac patients from around the globe. From Robotic Heart Surgeries to Hybrid Operating Suites, India is ready to serve and is at par with any of the best international hospitals. What acts in favor of India is that she has no global parallels in medical care when it comes to cost effective treatments. Substantial cost differences exist among US, UK and South Asian nations. The cost of a cardiac procedure in India is nearly one-fifth of that incurred in the US or elsewhere. For instance, a Coronary Artery Bypass Graft Surgery (CABG) in the US would cost 30,000 USD as against 5500-6500 USD in India. Every year thousands of international patients land in India with different cardiac complaints, following India’s increasing excellence in heart surgeries. The door-to-balloon time is the time that starts with a patient’s arrival in the emergency room and ends with the doctors removing the blockage. 2011 statistics from CSI say that the current international level is 90 minutes. India’s average is reaching close to 48.6 minutes, which is excellent. Patients go to Mumbai, Delhi, Bangalore, Nagpur for world-class cardiac treatments. I’m going to share together with you 6 lessons I’ve learned from reading the ebook so that you will surely have a better thought of how to get flat abs.